“You get in the gutter and fight with someone, you sink to their level.” - Trisha (The Trisha Goddard Show, Channel 5). Don’t scrap with someone in the gutter. Don’t let them drag you down. Be careful you do not get carried away and get stuck in your lower nature like them. Tibetans believe one’s enemies are one’s greatest gifts because only through enemies can we develop the qualities of patience and compassion. (Seven Years In Tibet, directed by Jean-Jacques Annaud, 1997). “The Tibetans' message is that it is not the possession of wealth and weapons, but whether you have patience, compassion and concern for others - that is the source of peace and happiness." - His Holiness the Dalai Lama on the English version of The Message of the Tibetans by Arnaud Desjardins, 1965 and 1967. 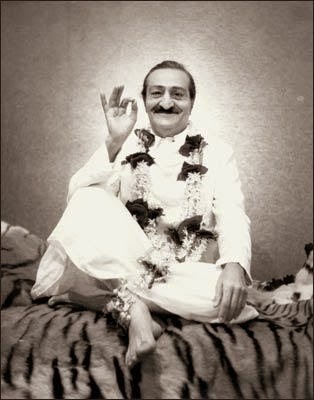 Discourses by Meher Baba (Sheriar Press, Myrtle Beach, SC., U.S., 1967). p.62. “Although in humans consciousness is fully developed, one finds in it a preponderance of bad elements; since at the subhuman stages of evolution, consciousness has been chiefly operating under limiting tendencies like lust, greed and anger. The experiences and actions created and sustained by such egocentric tendencies have left their imprints on the developing mind, and the mind has stored these imprints in the same manner as film records the movement of actors. It is therefore easy to be bad and difficult to be good. Animal life, from which the human consciousness emerges, is mostly determined by animal lust, animal greed, and animal anger - though some animals do at times develop good qualities of self-sacrifice, love and patience...Though some animal sanskaras are good, most are bad; so at the start, human consciousness finds itself subject to a propelling force that is mostly bad. Right from the beginning of human evolution, the problem of emancipation consists of cultivating and developing good sanskaras so that they may overlap and annul the accumulated bad sanskaras. The cultivation of good sanskaras is achieved by fostering experiences and actions opposite to those that predominate in animal life. The opposite of lust is love, the opposite of greed is generosity, and the opposite of anger is tolerance or patience. By trying to dwell in love, generosity and tolerance, man can erase the tendencies of lust, greed and anger.” (He goes on to say that the only way to close the sanskara account is to balance good and bad sanskaras in equal amount: that is, to develop positive conscious qualities until they are equal to the negative unconscious ones I believe). "Don't worry, be happy." - Meher Baba. “Al-Ghazali was asked, ‘What did you learn from the Sufis?’ He replied, ‘Two things. One is that time is like a sword; if you don’t cut through it, it will cut you down. The second thing I’ve learned is that if you do not put yourself to work for the good, it will preoccupy you with evil.” (The Little Book of Sufi Wisdom, compiled by John Baldock, Element Books, London, U.K., 1995, p.24). If Hell is for heroes, Heaven is for sissies. "Anger is a demon. Anger leads us to commit all other sins. In the case of Vishwamitra, we know that all the good he acquired by tapas was nullified by this one evil, anger. The merit he had accumulated through tapas undertaken for thousands of years was all lost in a moment of anger." - Satya Sai Baba. 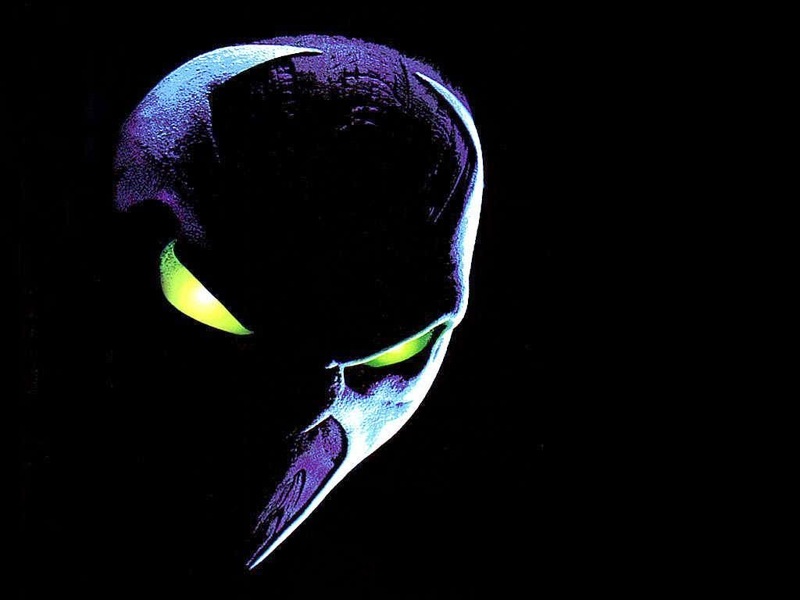 Spawn (directed by Mark A.Z. Dippé, 1998). “I'm in charge of my emotions; they're not in charge of me. You control your emotions. You do not have to explode with anger whenever someone else decides to behave in an angry or vindictive way.” - Dr. Wayne Dyer. People who aren’t used to being annoyed can be annoyed easily. Love yourself without needing love from someone else. Emotional and spiritual independence, self-reliance and strength, maturity and self-control. If you are beyond the personality, you are not affected by anything. So, if you’re affected by anything in your life, it is there to help you to go beyond the personality. If you’re not affected, then you have succeeded in accomplishing that state of consciousness. A transsexual on Trisha says there are a lot of ignorant people out there. Rise above it. He receives a lot of bickering from people in the street and says that everyone has the right to be happy and deserves to be loved. “What if they’re angry and they just want to hurt somebody?” (Haley Joel Osment as Cole Sear in Sixth Sense, directed by M. Night Shyamalan, 1999). “I’m sorry that you’re psychotic but just make an effort.” (A gay guy’s mother asking a tramp directions when she’s lost in the Bronx, visiting her son in Brooklyn, in the film Angels In America, directed by Mike Nichols, 2003, based on a stage play by Tony Kushner). Angel Cards RE: the neighbours: Peace and Humour. Breathe energy into the solar plexus to prevent or relieve the emotion fear. The Godfather Part II (directed by Francis Ford Coppola, 1974). “Keep your friends close but your enemies closer.” - Don Michael Carlin (Al Pacino) after an attempted assassination. He shares this advice with Frankie Pentangeli (Michael V. Gazzo) when telling him to arrange a meeting with the Rosato brothers. 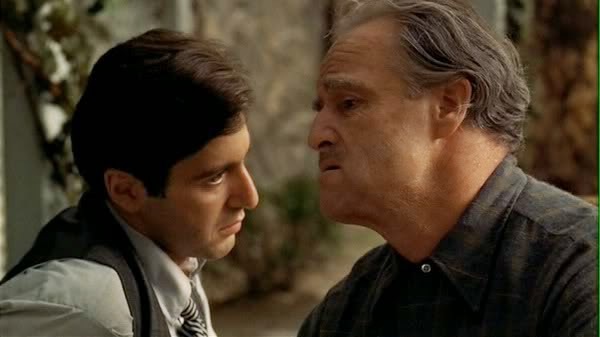 Michael: It was Hyman Roth that tried to have me killed. I know it was him. Michael: ...My father taught me many things here - he taught me in this room. He taught me - keep your friends close but your enemies closer. Now if Hyman Roth sees that I interceded in this thing, in the Rosato Brothers' favour, he's going to think his relationship with me is still good...That's what I want him to think. I want him completely relaxed and confident in our friendship. Then I'll be able to find out who the traitor in my family was. “It is a better idea to keep a closer eye on your enemies rather than your friends (although a Sicilian never trusts anyone). 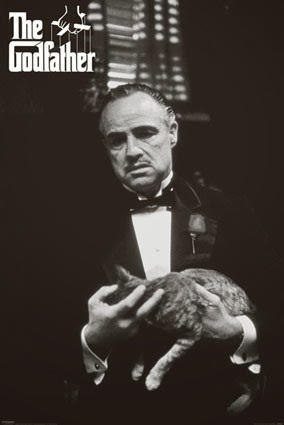 By keeping your enemies close, you know their moves, moods and characteristics, and you can even sometimes be undetected as their enemy.” (www.sicilianculture.com/godfather/quotes.htm). “Finding meaning in suffering is a powerful method of helping us cope even during the most trying times in our lives. 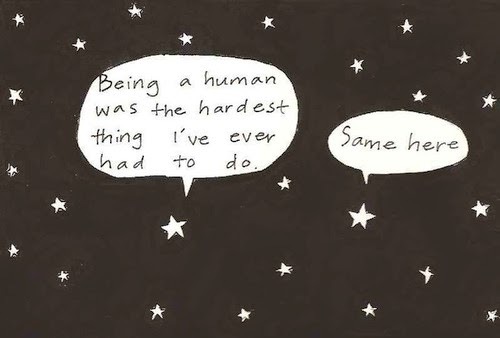 But finding meaning in our suffering is not an easy task. Suffering often seems to occur at random, senselessly and indiscriminately, with no meaning at all, let alone a purposeful or positive meaning. And while we are in the midst of our pain and suffering, all our energy is focused on getting away from it. During periods of acute crisis and tragedy it seems impossible to reflect on any possible meaning behind our suffering. At those times, there is often little we can do but endure. And it’s natural to view our suffering as senseless and unfair, and wonder, ‘Why me?’ Fortunately, however, during times of comparative ease, periods before or after acute experiences of suffering, we can reflect on suffering, seeking to develop an understanding of its meaning. And the time and effort we spend searching for meaning in suffering will pay great rewards when bad things begin to strike. But in order to reap those rewards, we must begin our search for meaning when things are going well. A tree with strong roots can withstand the most violent storm, but the tree can’t grow roots just as the storm appears on the horizon…While at times suffering can serve to toughen us, to strengthen us, at other times it can have value by functioning in the opposite manner- to soften us, to make us more sensitive and gentle. The vulnerability we experience in the midst of our suffering can open us and deepen our connection with others.” – Howard C. Cutler (The Art of Happiness. A Handbook for Living by The Dalai Lama and Howard C. Cutler Riverhead Books, New York, U.S., 1998, p.199-202). “Vulnerability is the only authentic state. Being vulnerable means being open, for wounding, but also for pleasure. Being open to the wounds of life means also being open to the bounty and beauty. Don’t mask or deny your vulnerability: it is your greatest asset. Be vulnerable: quake and shake in your boots with it. The new goodness that is coming to you, in the form of people, situations, and things can only come to you when you are vulnerable, i.e. open.” - Barefoot Doctor (Guide to the Tao: A Spiritual Handbook for the Urban Warrior, Piatkus Books, London, U.K., 1998). Suffering is strengthening. Earth and water: inner strength and openness. When we finally feel and face the ‘music,’ we begin a journey of working to be more of ourselves, to embody more love, energy, power and Light. At first, we achieve this on a level that enables us to survive our ordeals until it becomes second nature. As we are tested, we have little choice but to apply this wisdom to some degree. Once the butterfly finally emerges from the chrysalis state, it has successfully integrated its lessons and patterns of inner growth. Its natural inner beauty is expressed freely without the need for struggle or strain. “According to the Master, it is imperative that we seek always for higher ground because, ‘A problem can never be solved at the level of its creation and existence. Every problem has to be solved from at least one level of awareness or ability above it. One of the greatest mistakes mankind is making in regard to life's problems is to address them on the level which caused them to occur and supports their persistence. This leads only to struggle, fighting, and perpetual frustration. To solve a problem it is first necessary to view it from a higher level. This is especially easy to observe in the area of physical healing. A physician or any medical facility can only arrest an illness, keep it from progressing, or reduce infection, thus providing conditions in which healing may occur. The actuality of healing is always a miracle that happens on a higher level through the restoration of wholeness. No matter what the problem, healing always comes from a higher level.’" (‘Love Without End - Jesus Speaks on Prophecy,’ Glenda Green, www.lightparty.com/Spirituality/LoveWithoutEnd.html). “Every time you interact on a low-vibrational level, you let yourself go low-vibrational. You let yourself go unconscious or get triggered and let the spiral of habitual response grab a hold of you. Know that you’re choosing that and you could make a different choice. You have a lot of responsibility as creators and this is a big one; this is a big part of it. You have the responsibility of making that choice, making that choice for being in a high-vibrational state. And, when you start saying, ‘My high-vibrational state’s the most important thing to me, period, and change happens in your life, your change can happen in a high-vibrational way, so it doesn’t have to be traumatic or dramatic. You see, when you make change from a high-vibrational perspective, you have change that’s high-vibrational…and that’s the invitation, that no matter what’s happening, you stay high-vibrational.” - Eloheim (‘Change without Drama or Trauma,’ channelled by Veronica Torres, 17 December 2008, www.eloheim.wordpress.com). “The simplest way for you to deprogramme is to give energy to its opposite. So you have claim in this moment love, joy, happiness, contentment, being OK when things aren’t so good, yes? So many of humanity are looking to go into the density and say, ‘Let me battle it. Let me protest,’ not realising that your protest is giving energy to it. Your frustration with it gives energy to it. Your dislike of whatever it is you dislike gives energy to it. If you do not have the means within you at any one moment to love something, then turn away from it. Put all your attention on that which you are able to love.” – St. Germain (‘St. Germain on how we deprogramme,’ channelled through Ashamarae McNamara, YouTube video posted by messagesfromwithin on 19 July 2008, www.awakeningfromwithin.com). >If you wish to travel far and fast, travel light. Take off all your envies, jealousies, unforgiveness, selfishness and fears.=" ‑ Glenn Clark. “Laughter is the sun that drives winter from the human face.” – Victor Hugo.